You have probably read and heard over and over that email list is the key to having a successful business or blog that generates sales. When you think about it, it’s all very logical. I bet many of you receive emails from either stores or other brands that you like and follow. Sometimes those emails will be about a sale, or promotion or some kind of service they are offering. You will read the email and contemplate whether or not to buy or book. If you need the product or service, chances are you will. If you don’t, then you will at least keep it in mind for a time when you are ready to buy. The truth is that emails are a powerful way to communicate with your readers and loyal followers. Through email, we keep in touch, educate our readers, let them know about updates and upcoming events. If you don’t have a dedicated group of readers or followers, then most of your content falls on deaf ears. According to Email Marketing Daily Post on Media Post, based on a study done by Ascend2 called Email-Driven Content Marketing, “email is still the best channel for sending content, even though there are many barriers to success.” You can take steps to make sure you have great content that will generate substantial traffic so that you can drive that traffic towards building your email list. Email lists are essential if you want to have any kind of online presence. Building your own list guarantees that the content your produce actually gets to people who read it, watch it or simply engage with it. One of the key reasons for list building is that you own the list. You own the contacts that are there and can utilize it any way you see fit. You can send promotional content to your subscribers or offer your services. You don’t have to pay advertising fees to be able to reach your readers. This is an important distinction from social media followers. Having social media presence and follower base is great. However, these platforms change their algorithms every now and then, which leaves you in a bind. This happened with Facebook a few years ago. They changed their entire algorithm, and suddenly, you could not access your readers organically anymore through your page. If you wanted to reach your readers, you have to pay advertising fees. It’s not that paying is bad, it’s actually great if you can afford it. However, most start-ups and bloggers don’t have an extra amount of money laying around. For this reason, building your email list is important because it guarantees people that you can reach with a click of a button. Your email list members are the ones who are going to read your content, share it their social media, buy your online courses, your physical products, etc. Continuously and actively build your email list and use it to generate money for yourself through your business. To actually be able to begin building an email list, you will need to have a good email list software. This is essentially an email program that allows you to create different lists, have people subscribe to your lists, and email them. You can set up autoresponders in your email list software, you can set up email series, and much more. Getting an email list software that has good features and capabilities will save you a lot of headaches. It also has the potential of spearheading your list building campaign. There are many email list software and programs out there today. Each one has pros and cons, and you have to evaluate for yourself whether you like it enough to get it despite the cons. All the programs have different levels of membership, and usually, it is associated with list subscriber numbers. For example, there might be a lower price for email list 0-500 subscribers, the next plan will be 500-1000, etc. Obviously, the more subscribers you have, the higher the bill will be. Some influencers with huge email lists pay over $1500/month. However, if you’re just starting, you can start for free or as low as $15/month. Each one of these software offers great email list building services. Some of them have more features that will save you money in the long run. I have started my own list building with MailChimp free account. If you have up to 2000 subscribers, you can have a free account with MailChimp. It’s not a bad program at all. In fact, many bloggers and businesses prefer MailChimp over other services. MailChimp has an edge over all the other software out there when it comes to integrations. Every single platform and program integrates with MailChimp. This is a huge plus because you won’t have to deal with issues of incompatibility, and your site not looking right, etc. With that being said, however, I found MailChimp’s free account to be somewhat limited when it comes to different features. Also, I personally did not like the way the account looked. For me, personally, MailChimp was not user-friendly. Get Response is a great email list building software that offers 1-month free trial without entering credit card information. The user Dashboard is very intuitive, clearly labeled, and organized. The customer support is very responsive, which is something you always want to take into consideration. The Automation system is superior to most other software out there in my opinion. However, after using GetResponse for a couple of months, I became convinced that it’s more suitable for agencies and marketing companies. There are many features, which is great, however, as a blogger, sometimes it can get confusing. GetResponse interface is great. Unfortunately, it’s not for simple bloggers or beginners. I found that too many options and choices at times created a hindrance to productivity. Aweber is another very reliable and popular option for email list building. I have also used Aweber on a free trial basis. Aweber is an established email list building software that is reliable and long-standing. One drawback for me with Aweber is that even if subscribers unsubscribe, they are still counted in the total number of subscribers. Moreover, the list based approach for me is not very efficient, since I want to be able to target my readers in as much detail as possible with tags. Furthermore, if you want to send a broadcast to all your subscribers, you can’t do that with Aweber easily and have to do it one list at a time. Sure, in the beginning when you don’t have many subscribers and lists, it’s not a big problem. However, what happens when you start growing and have thousands of subscribers and 20-30 lists? A software should make your work simple and efficient. I feel that Aweber is not doing that very well. ConvertKit is my weapon of choice. I really love everything about this software. ConvertKit is extremely user-friendly and was made specifically for creators, such as bloggers. Automation and Sequence email building is extremely simple with ConvertKit. This is a useful feature for bloggers because you need to be able to set up emails and sequence of emails with ease. Moreover, with ConvertKit, you can create and deliver lead magnets and freebies to your readers without any issues. ConvertKit is subscriber based, and there are no lists. You can use tags to identify your readers and have categories for them to know who is interested in what. However, there are no issues with Broadcast emails as there is no list, so everyone will receive your email unless you want to exclude specific people from receiving it. This also is a useful feature to have. After I used ConvertKit, I became an affiliate with them. I truly love this product. If you want, click on this link, and you can start a free trial with ConvertKit. You won’t regret using this service. These 4 options above are just the ones that I’ve tried. These are the most popular options with a lot of people out there. However, the email list programs are definitely not limited to these 4, so feel free to research and find something that matches your expectations. Either one of these 4 will provide a good starting point. Opt-in forms are the method through which you will be able to build an email list. These are different types of forms: pop up, inline, slide in, lock content, etc. These are pretty looking forms that ask your readers to provide you with their e-mail address and any other information you would like. Usually, the less information you ask for, the better. These opt-in forms basically tell your readers to provide you with their email address so that you can either send them your newsletter or updates and more often, you offer some kind of a gift (these gifts are called “lead magnets”) in exchange for signing in. Now, before I forget to mention, the majority, if not all, of email list software contain opt-in form building capabilities inside them. So you can just use your email software and build your forms through it also. There is absolutely nothing wrong with this, especially if you’re just starting out. 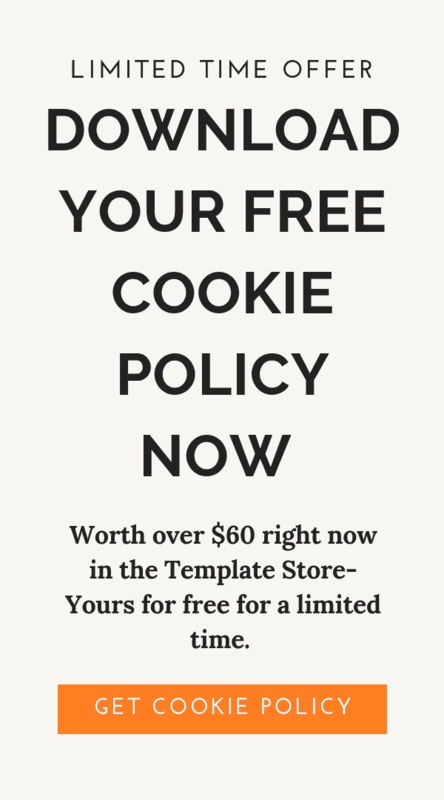 However, these opt-in forms that are with the email list program sometimes can be limited to certain type of opt-in forms, or they will lack important features such as A/B testing, and exit triggers, etc. All of these form building platforms are great. They all have various features and capabilities that you could use to drive your traffic straight to your opt-in form and collect email addresses. I will go into detail in a separate post for product comparison review when it comes to the form building plugins. However, for now, visit the respective sites and take a look at the features, as well as the prices. Decide which one will work for you based on your budget. Aside from being making the landing pages visually appealing, they also have to be optimized for conversions. This means that it needs to have a Call to Action. The purpose of the page must be clear. It should not be too cluttered so that your reader is not lost on the page. These are not the only types of lead magnets, but these are the most popular ones. The lead magnet has to have substantial value to your reader. Remember, you’re using this method to entice your reader to subscribe. If your lead magnet is not very good, then your reader will not stay with you for long. Make sure that you put a lot of thought into your lead magnet. Make it pretty. Build landing pages for it, and create forms that link to the landing page. 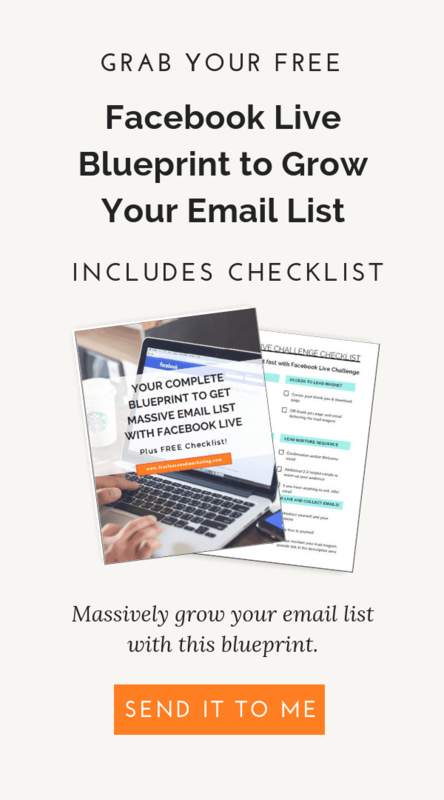 Offering lead magnets and freebies is one of the fastest ways to grow your email list. To conclude, I will reiterate that building your email list is absolutely essential for your business and online presence. By building your email list, you’re making sure that you have buyers, readers for whatever you put out in the future. Once you acquire an email list, engage with your audience. Send them updates, create an interesting newsletter. Your goal is to keep reminding your readers of your existence.